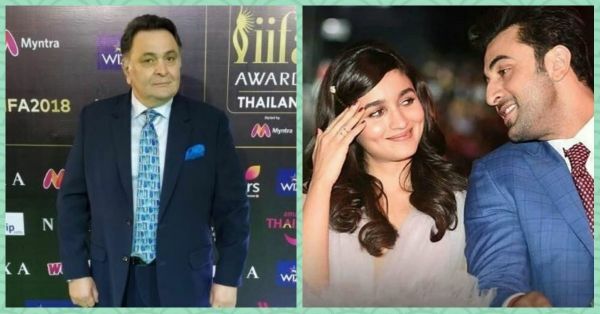 Rishi Kapoor Just Spoke About Ranbir-Alia And OMG, Do We Hear Wedding Bells?! There has been much talk about Ranbir Kapoor and Alia Bhatt's relationship and it's no longer just alleged. Pictures of their romance have been doing the rounds on social media for a while now and even Alia shared a photo of them from Sonam's reception on her Insta. And you know what they say, it can't get any more official than with an Insta post. When asked about their relationship, Ranbir was quoted saying, "It’s really new right now, and I don’t want to overspeak. It needs time to breathe and it needs space. As an actor, as a person, Alia is – what’s the right word? – flowing right now. 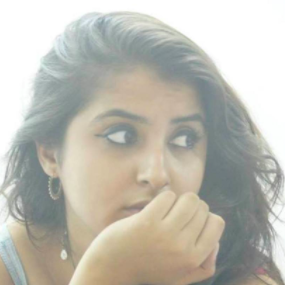 When I see her work, when I see her act, even in life, what she gives is something that I’m aspiring to for myself. It’s new for us, so let it cook a bit." Even Alia's mom Soni Razdan and Ranbir's mama Nitu Kapoor have been showing a lot of love to each other. I mean, the fams sure seem to be getting along supremely well! Now daddy Rishi Kapoor has also spoken about the hottest and most happening pair in tinsel town. In an interview with a leading tabloid, he said, "Jo hai woh hai, sabko pata hai. I don't need to say anything more.” Well, that's pretty much saying it all without really saying anything! He further expressed his desire for his son to get married soon. He said, "It is high time he got married. I settled down when I was 27, Ranbir is 35. So he should think about marriage. He can marry anyone of his choice; we don't have any objection to it. I want to spend time with my grandchildren before I am gone." Is it just me or is Sr. Kapoor just like all of our fathers?! 'Beta get married, I want to play with my grandchildren!' Well, we love 'em anyway. Talking about the dating trends of the Bollywood industry, he added, "[Be it] Ranbir or his contemporaries, actors have blinkers on and are focused on their work. The only women they meet are the actresses. They don't socialise as much; that is the flipside of life in the movies." Earlier even the Raazi star's dad, Mahesh Bhatt had dinner with the couple and the three of them were snapped by the eager shutterbugs. The whole family does seem to be getting along well and we're cheering for this uber-talented pair. We see wedding bells in the near future for Ranbir and Alia. Do you think the Kapoor and Bhatt clan will soon become one big family? !